As of October 2017, Filipino tourists in Israel have reached a record number. About 17,500 Filipinos have taken advantage of the visa-free travel to Israel this year, and Hassan Madah, Tourism Director for India and the Philippines, couldn’t be happier. Gracing the Tourism Forum in Davao as a guest speaker, Madah spoke about pilgrimage tourism and gastronomy tourism. With tourism being one of Israel’s biggest contributors to its economy, Madah expressed hope of having 20,000 Filipino tourists arrive in Israel by the end of the year. 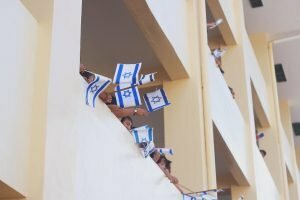 In the recent “Colors of Israel” in Davao, the island nation presented more reasons for Filipinos to visit. 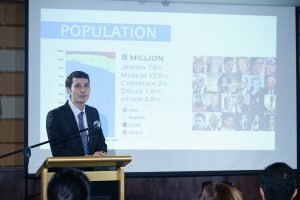 The Embassy of Israel in Manila with Israel Chamber of Commerce of the Philippines (ICCP) and Davao City Chamber of Commerce and Industry hosted the event to celebrate the friendship of the two countries. A series of forums, including the Tourism Forum, showcased the diversity of Israel’s economy and culture. Israel and the Philippines have enjoyed a close relationship since President Manuel Quezon’s “Open Door Policy” in which the Philippines provided refuge to 1,300 Jewish souls fleeing from the Holocaust. “This has been the best year of incoming tourist arrivals for Israel [as] the Philippines continues to be an important contributor for us,” Madah stated, in reference to the tourist arrival data collected by Israel’s Ministry of Tourism. This year, Israel welcomed its three millionth tourist and hoped to continue its tourism surge, especially from Filipino tourists. Israel is the place to be for those seeking an experience like no other. Within Israel is the heart of Christianity itself, Jerusalem. Surrounded by a grand wall, walking into the Holy City is a pilgrimage that those of the faith long to have at least once. Filipinos can take a step back in time to where it all began and perhaps strengthen their faith. For those who wish to explore more of what Israel has to offer, Tel Aviv offers many sights. Beautiful beaches, a vibrant nightlife, and culinary features await those who wish to explore. The famed Dead Sea is also a popular destination, made famous for its extremely high salt content. It is popular among women who wish to relax as they are covered in the Dead Sea’s mud, which is said to do wonders for the skin. Israel has many other places to visit that Filipinos are sure to love. It is, after all, the land of creation and creativity, the promised land, and the land of many promises.